11 Apr Thank You for Your Support! Your continued love and support amaze us! This year Salon K was given the honor of being voted Best Salon, Concord and Best Stylist of Concord, Kae Mason. We are so incredibly thankful for our guest base that has made this dream a reality for 8 years in a row. Many things can be attributed to the success of our Salon over the years, but this truly has been one of the biggest boosts to growing our small business. You all have always shared your confidence with us in your friends, family, and people who compliment your hair in the grocery store, but this broadens our exposure to the world like nothing else. For that and your continued support we are so so thankful every day. It’s been such a crazy, happy adventure running for the Hippo, and changes so drastically every year. The first win coming in 2011 as Best Stylist, Kae Mason, it has evolved and we have been lucky enough to hold Best Stlyist in the State-Kae Mason, Best Salon in the State, Best Spa in Concord, and Best Stylist of Concord-Denise Jewell. 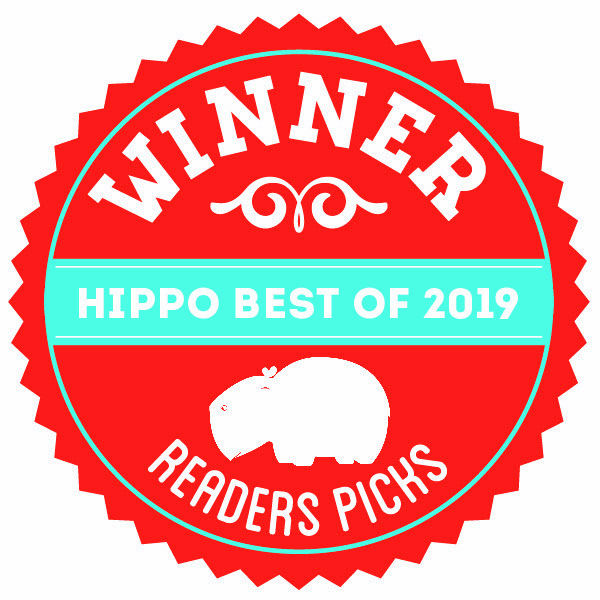 When we first found out about the Hippo we thought it was a long shot, being so new and in our first full year of business but we quickly found the power of our loyal clients and rallying them together and were so humbled by the result. Here we are 8 years later and it was just on your thoughtfulness alone that we won and we a forever grateful. You’re all seriously amazing human beings and we are so lucky to have you in our lives! Thank you!! !